Growing: Celebrating our Past, Exploring our Future. 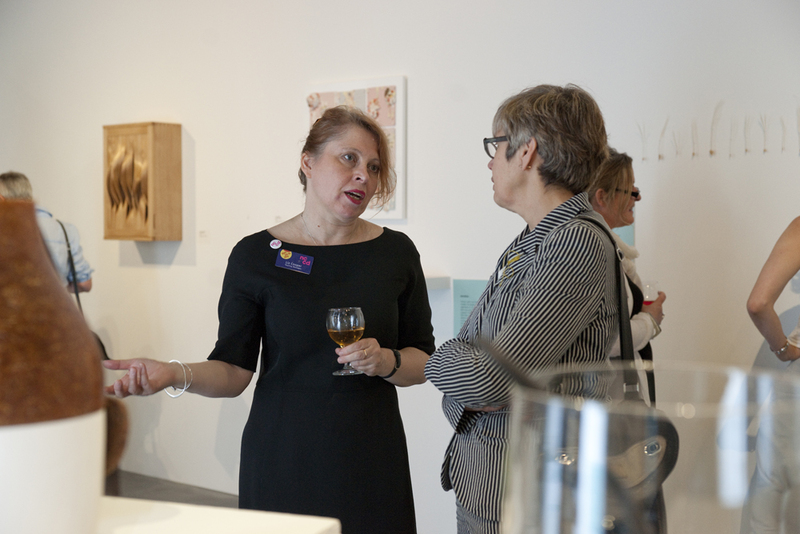 Image: Talking to Rosy Greenlees at the exhibition opening. This exhibition was on show in the main gallery of The National Centre for Craftt &Design at Sleaford from 20 July – 29 September 2013. Co-curated by my colleague Laura Mabbutt, then NCCD’s exhibitions manager, and me, and showing work by over 30 artists and designers nominated as future stars, hot property, and great innovators. Laura’s blog entry says it all. We showed jewellery, textiles, furniture, ceramics, glass, performance craft, new materials, tableware, garments, objets d’art and structures; with our exhibiting artists inspired by and working with dancing, the sea, history, heritage craft, 3D printing, self-image, relationships, buildings, imagination, the natural world, food, play and fashion.